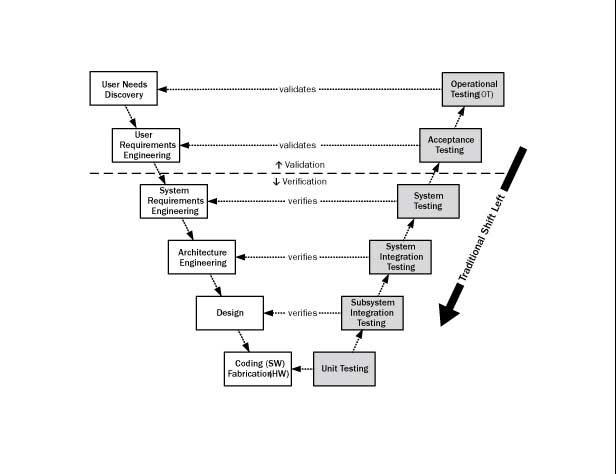 This is the approach in which testing is performed earlier in the lifecycle. It can be said like test early and often. There are four types of shift left testing. Traditional shift testing is a classic V-model testing in which unit testing and integration testing is emphasized more than the acceptance and system level testing. Below is the mentioned figure, there are several projects with complex software-reliant systems which breaks into smaller increments having short durations. 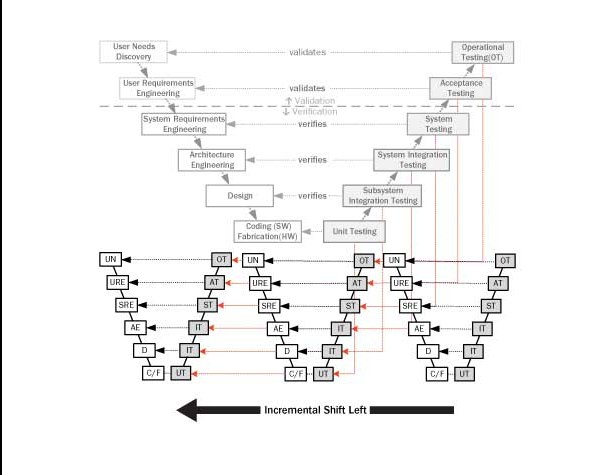 The shift left is indicated by the red dashed arrows because parts of single, large waterfall V model testing (grey model) are shifted left to become increments of corresponding varieties of testing. 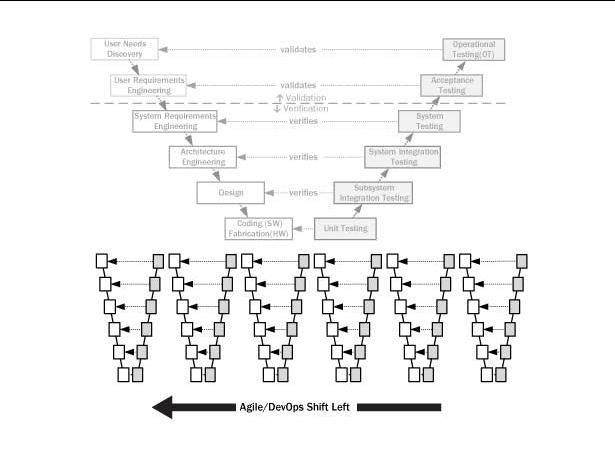 When each increment is delivered to the customers the testing and developmental testing shift to the left.This shift testing is popular while testing large complex systems specifically those incorporating significant amounts of hardware. The previous form of shifting testing was concentrated at the earlier stage of the development cycle.WAiting until software exists to being testing, however, largely and unnecessarily limits the use to testing uncovering coding defects.Many defects are introduced in requirements itself. 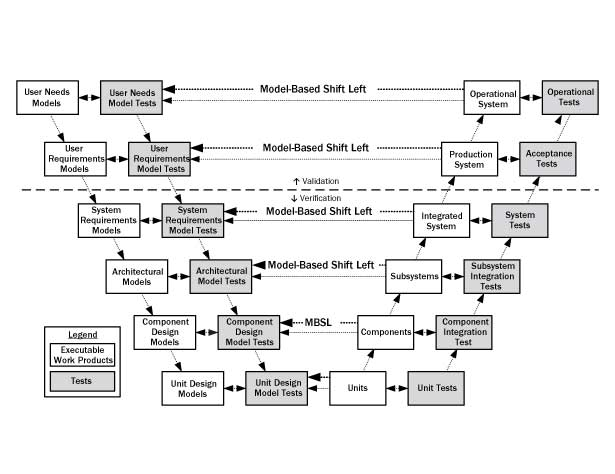 In the below figure the model testing moves to the left of Vs by testing requirements, architecture and design models.